The wisdom in that little story seems to be coming true for us. We now have several young men and women who have been ‘called’ to join us in this ministry. We are providing mentoring, teaching sessions, and reading material for them. Training sessions have been occurring over recent months. Early morning prayer meetings are held on a weekly basis with members of our new ministry team. David is overseeing sermon and devotional preparation. Initially, they all have had an opportunity to preach trial sermons before the group and be evaluated. Now, many of them are regularly filling pulpits where needed. We are also working with Kentucky Mountain Bible College to develop strong practical programs that will be tailored to the needs of working people. In-service and on-the-job training is essential. It will be necessary for our start-up churches to have bi-vocational pastors. We are thankful for the enthusiasm and commitment of these men and women. Without them we would not be able to continue expanding our ministry. After Malaga Community Church joined our ministry, Mark England, a student and part time employee of Kentucky Mountain Bible College, expressed interest in participating of our ministry. As Mark preached a few Sundays for us at Malaga, a strong bond developed between Mark’s family and the community. Mark is now the pastor of the church and doing very well. When Faith Community Church in Baxter, Kentucky, became a part of our ministry, we mainly filled the pulpit with our new preachers in training. After a few months, Freddie Finley, an elementary teacher at Mt. Carmel Elementary School, felt the call to pastoral ministry and preached several times for us at Faith Community Church. Within a few weeks, the congregation had adopted Freddie and his family. Freddie is now the pastor at Faith Community Church and will be moving into the community when this school year is finished. 2 Chronicles 16:9 says, “For the eyes of the Lord run to and fro throughout the whole earth, to show Himself strong on behalf of those whose heart is loyal to Him” (NKJ). Are you one of those on whose behalf the Lord wants to show Himself strong? Our Church Planting Ministry needs people who are committed to helping fulfill the “Great Commission”. Will you pray for us and support us as the Lord may direct? Contact us at New Hope International for ways you can be involved. “Now unto Him who is able to do exceedingly abundantly above all that we ask or think, according to the power that works in us,” Ephesians 3:20 NKJ. That scripture came to mind on March 14, 2014, as David Spencer and I stood in the County Court Clerk’s Office in Harlan, Kentucky. We were there to record the deed for the Green Hill Community Church. 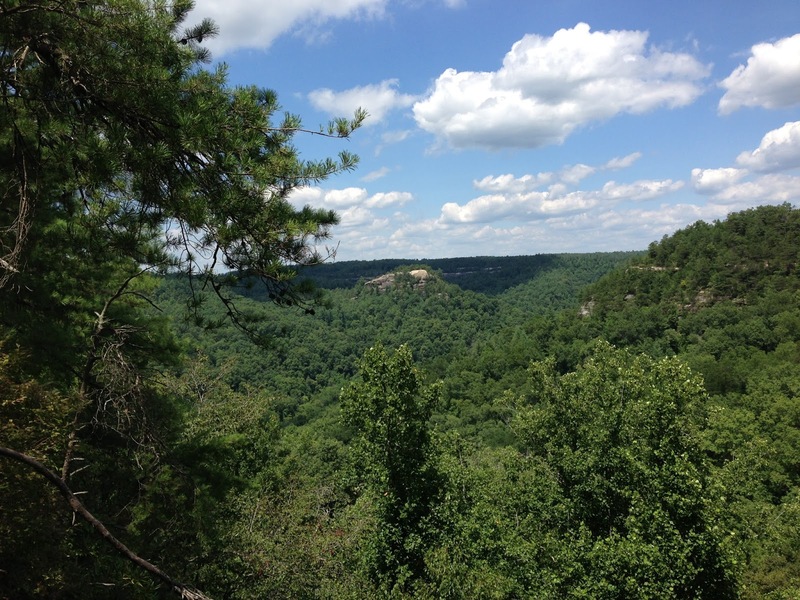 In a rapidly moving sequence of events, our Church Planting Ministry in Eastern Kentucky had added another church. 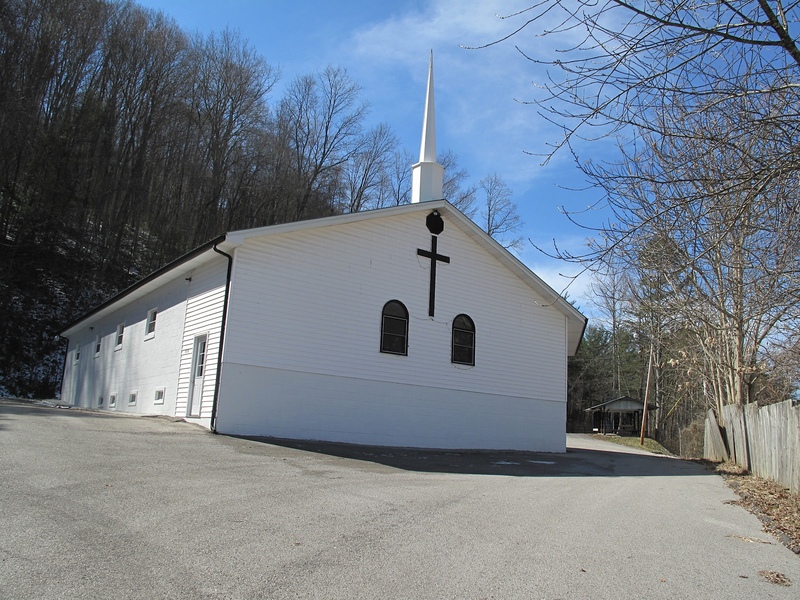 Through contacts that David had established earlier, a request came to us to assume responsibility and spiritual leadership for the Green Hill Church at the foot of Pine Mountain in Harlan County. It is amazing that in an area where many, if not most, have preached the funeral of Church Planting, Church Growth, and Revival in Eastern Kentucky, the Lord is breathing life into a sleeping giant. Malaga Community Church in Wolfe County, Faith Community Church in Harlan County, and now Green Hill Community Church have all become part of our church planting and revival vision. New Hope International is partnering with the Kentucky Mountain Holiness Association in the belief that ‘together we can’! We can see revival sweep through the mountains of Eastern Kentucky. We also believe that the fire of God-sent revival in the mountains can move across borders and boundaries like it did in the early days of the New Testament Church. 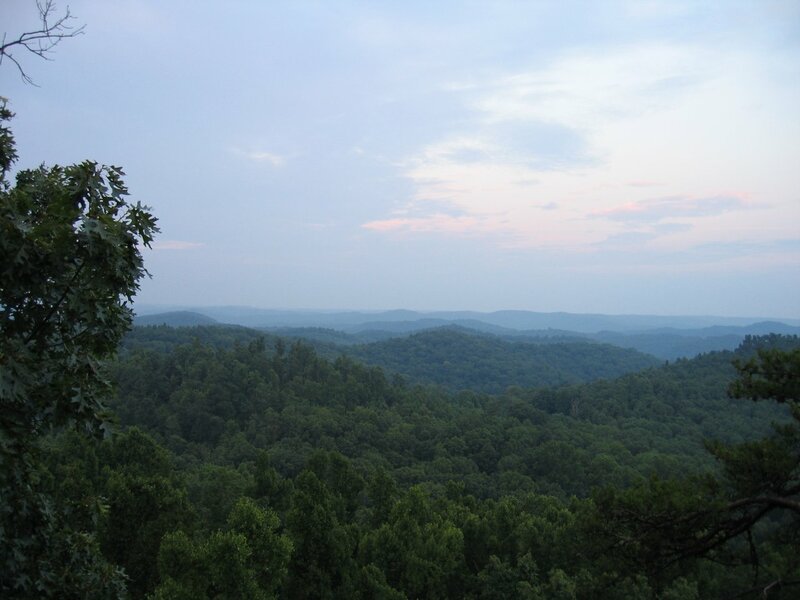 A recent survey has revealed that approximately 670, 000 precious souls in the mountains of Eastern Kentucky are ‘unchurched’. We are on the move to remedy that situation. Ridge Chapel in Lee County opened a little less than two years ago, and now in a matter of seven or eight months three other churches have been activated in the cause of winning the lost and building Christ’s church. Each time a new church has opened with us, God has provided for ministry. New people have felt the ‘call’ and joined in to help us fill the pulpits. We are mentoring and teaching and these new folks are growing rapidly and assuming responsibility. Rejoice with us! On April 6, we will have our ‘official’ Opening Day at Green Hill Community Church. Join with us in person if possible. If not, please pray and any financial help you could provide would be greatly appreciated. 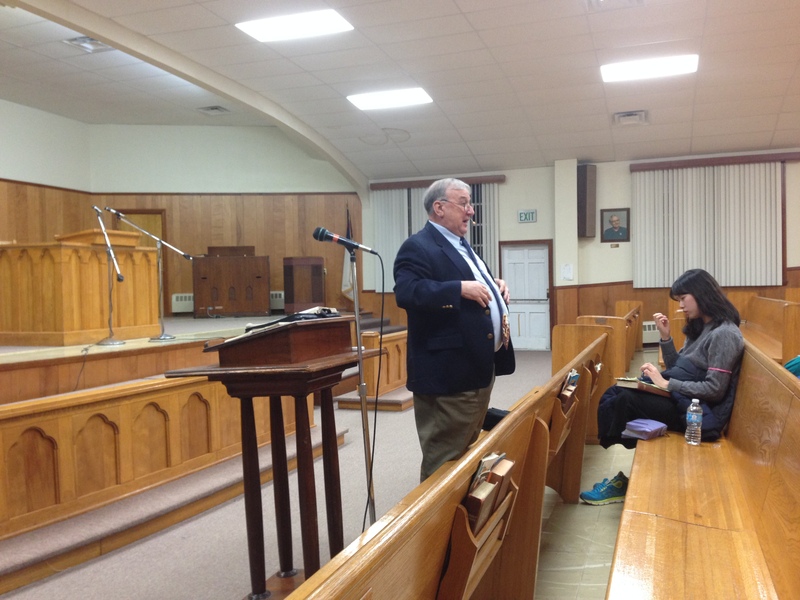 Brother Roy has been preaching revival services this week at Mount Carmel High School in Vancleve, Kentucky. Mount Carmel is a boarding school with a large number of international students. Roy is preaching eight services during this revival, his first extended preaching engagement since his cancer treatment last Fall. The students have been responding well to Roy’s down-home, practical messages, and they have even learned some mountain vernacular from Ezra and Arze. Audio of the revival services can be found on the Mount Carmel website, here. We thank the Lord for renewed strength that is allowing Roy to begin returning to a fuller ministry schedule. Malaga Community Church is one of the newest partners in our church planting / revival ministries in Eastern Kentucky. When they affiliated with our ministry in August, they had not had a pastor for approximately two years. We have sent several ministers to fill in until we could secure a regular pastor. Mark England has preached at Malaga for the last few weeks. The congregation loved Mark and his family. Mark fell in love with the Malaga Church and community. David Spencer and I met with the Board of Elders on January 11th to discuss Mark and his possible appointment. Last Sunday, January 12th, the Board unanimously recommended Mark to the congregation. The church wholeheartedly agreed to call Mark as their pastor. We praise the Lord for answered prayers that have brought Mark and Malaga Community Church together. I am approximately half-way through my cancer treatments at M.D. Anderson in Houston, Texas. My scripture verses during these days are Psalm 121:1-2: “ I will lift up mine eyes unto the hills, from whence cometh my help. My help cometh from the Lord, which made heaven and earth.” The Lord certainly has been my help during these trying days, and I give Him praise. But, oh, how I long to see the hills of Eastern Kentucky. The fall colors must be beautiful about now. As great as autumn in the hills may be, that’s not the beauty my heart longs for. It is the people: David and Nora, the men and women in our lay ministers class, friends at Bear Pen and Shoemaker Churches, the new congregations at Malaga and Baxter that I’ve scarcely met, and a host of others who are part of our ministry. These folks stay in my mind and on my heart. There is so much going on in Eastern Kentucky. Our ministry is growing at such a rapid rate that our Ministry Team is greatly overworked. I am so sad that I am temporarily unable to take my place in this church-planting ministry. Pastor David Spencer and Kenny Childers, one of our new preachers in training, just made a flying trip to Jackson, Mississippi. David was invited to give the Invocation Prayer at the Installation of Dr. John Neihof as President of Wesley Biblical Seminary. Before moving to Jackson, Dr. Neihof was active in Bear Pen Community Church where David is the pastor. Because of ministry responsibilities, David and Kenny drove all night to get to Jackson for the Installation Service and then returned home the next morning. The Mississippi trip was made possible thanks to the support of the McFaddin Family. They recently provided funding for a dependable vehicle for David to use in ministry. Their support also allowed us to purchase a used 15 passenger van to transport people to church on Shoemaker Ridge. Several people have been saved in the last few weeks through the ministry. Pastor Mike Spencer reports new converts at Wide Creek Church. There have been new converts at Ridge Chapel on Shoemaker Ridge. Several new believers have been added at the Bear Pen Church. The latest new convert was on October 10th in a home visit by David. With God’s help, there will be more new believers added to our ministry by the time you read this report. A nine day Revival began yesterday with three nights of revival services at each of the following churches: Malaga Community Church, Bear Pen Community Worship Center, and Ridge Chapel. Members from each church will be supporting revival services in the other churches. Members of our New Preachers Team are growing in the nurture and wisdom of the Lord. Several have already stepped up to lead Bible studies and are being counted on to fill pulpits almost every Sunday. A new team member, Mark England, has joined the group. He is an older student at Kentucky Mountain Bible College (KMBC) and has demonstrated strong preaching skills. Paula Smith, David’s daughter, is a member of our New Preachers Team. She worked with my wife Sue in planning and directing our women’s retreat. Paula is doing a Bible study in her home each week. One of the ladies who attends is now leading a Bible study at our new Malaga Church. This lady is so excited about being involved in ministry that she is taking a night class at KMBC. Eugene Spencer, David’s son, is a graduate of KMBC. He is a construction worker and also serves as adult Sunday School teacher and song leader at the Bear Pen Church. Eugene is taking a major role in filling pulpits, especially at our new church in Baxter, Kentucky (a two hour drive from his home). Eugene and his wife recently adopted two little girls from the Congo. Our greatly needed Storage Facility has been completed. We are now looking for industrial shelving for the facility. If you have any leads, please contact me. We are building an office in the corner of the facility to serve as the central office for the many ministries. Any help in this endeavor will be greatly appreciated. We have several new Prayer Band members joining us to pray for our Church Planting Ministry and revival in Eastern Kentucky. Thank you, Elaine Long, for helping this ministry get started in the Milton, Kentucky, area. Thank you, Sue Wells, for your support of our Prayer Band ministry in the Morehead, Kentucky, area. Miss Sue and I are staying involved in ministry during our stay here in Houston. We have a chance daily to share with the staff and residents here at the Salvation Army Resident Shelter for Homeless Women, where we are staying. I will be speaking soon at The Salvation Army’s Homeless Shelter for Men here in Houston. I am scheduled to share about our ministry with two Methodist Churches in the Houston area. I am also going to get a chance to share with the CEO of the Living Water Foundation about our Water Well Project in the Samburu desert of Kenya, East Africa. Thank you all for your continued prayers and support of the ministries of New Hope International. The theme for the retreat was certainly appropriate: “Coming Apart Before Coming Apart: Finding A Calm in the Midst of the Storm”. Nora Spencer opened the meeting with prayer and introductions of those attending the retreat. One of the main purposes for coming together was to be separated from the worries and concerns in the women’s lives. It is easier to listen to the Lord and seek His Will and purpose in our lives by being still. (Psalm 46:10, “Be still and know that I am God:…”) The thesis of the weekend was to encourage women to have quiet time with Him, read His Word, and pray. We began the retreat with singing Jesus Loves Me. This song has an ageless truth, Jesus does loves us. We are His children regardless of our age. His greatest desire is for us to love Him as our personal Savior. The concerns and worries of life began to dissipate as His Presence settled among us. It became a calm, comfortable shelter from responsibilities at home. Fears of what others might think about the problems and difficulties being shared soon evaporated. The weekend had been set aside for time to be with the Lord, talk to Him, and most of all, listen to Him. In the Scripture, the Lord “spoke in a still small voice”(1 Kings 19:12) . Listening is one of the most difficult issues for Christians. We don’t want to be still and listen to what He wants to tell us. We often find time to talk to others, but not set aside private time for Him. Whenever we do find time, it often consists of a “grocery list” of requests. At the close of the evening’s session, the ladies began to yawn and hunger pangs settled on the group. We ended with prayer, praising the Lord for His presence, and then thanked Him for the food. One of the participants, a local restaurant owner, provided delicious pizza. Others had brought snacks and desserts for our group to enjoy. Then…the youthfulness of everyone came out. Food, fun, and laughter filled the premises. For some of the ladies, it was a new experience to enjoy fun in a wholesome Christian fellowship. What’s Happening NOW in Eastern Kentucky? As many of you know, I am in a battle with cancer. Recent weeks have been filled with exams, scans, blood work and more. I recently was in Houston, Texas, at the M.D. Anderson Cancer Research and Treatment Center for evaluation. I am thankful they agreed to take me as a patient. I returned for a couple of weeks in Kentucky, I am on my way back to Houston for almost three months of treatment. Thanks to my fellow laborers in NHIM (John Morley, Matt Kinnell, and David Spencer) the ministry is not just surviving, but is thriving. Time to keep you updated has been small, but don’t think that things have slowed down. If anything an already hectic pace has accelerated. At this point, I will simply give a brief overview of what is going on and then hope to provide a more detailed report later. Several more furniture trips have been made with our box truck from Eastern Kentucky to Asbury University in Wilmore, Kentucky. Asbury has given us enough good dorm furniture to provide greatly needed furniture for Kentucky Mountain Bible College. In addition, Asbury has given us gas ranges, beds, and other furniture for needy families that we serve. The Abiding Hope Food Pantry is serving the needs of the local community. We are in the process of installing a heating/air conditioning unit. The funds are in hand to complete this project. The old box truck that transports some of our food from God’s Pantry in Lexington recently broke down in Lexington. David was able to limp home, but there it sits. It is fixable. If you would like to help with the cost of repair and/or future fuel needs, please send donations to NHIM designated for Abiding Hope Food Pantry. The Pavilion Project that our friends from First Methodist Church in Tuscaloosa, Alabama, started in the spring is now complete. Thank you friends in Tuscaloosa for your help and funding. The pavilion is a valuable asset for our ministry. The much-needed Storage Facility at Bear Pen is within a couple of workdays from completion. It will provide a place to store furniture for needy families, donated church furniture for future church plants, donated building materials, a library of material for our local preachers in training, and an office for Lead Pastor David Spencer. * A special note of thanks is due to the Kentucky Mountain Holiness Association for their generous gift and support. The local preachers training sessions have gone extremely well. Pastor David has been providing training every Sunday night for several months. Matt Kinnell, NHIM Board Chair, has recently started a monthly teaching series. These men and women have already provided help by covering prayer meetings and preaching when David or I are not available. I have heard four of these folks preach, and they all did very well. Before too long they will be able to assume greater responsibility and possibly become assistant pastors in our group of churches. Two new congregations have joined our church-planting ministry. 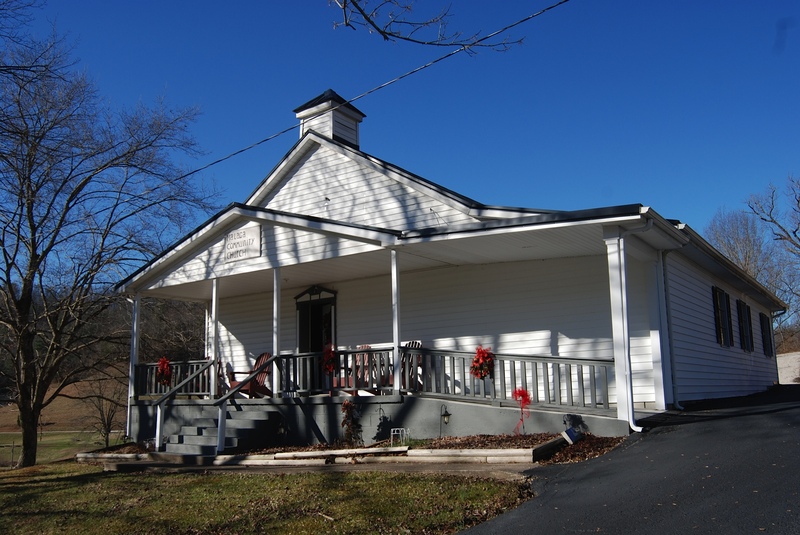 First, the members of the former Evangelical Church in the Baxter community, near Harlan, Kentucky, have invited us to assume ministerial responsibilities for their church. The Evangelical Church denomination discontinued their connection with the local congregation, and they have been without a pastor for some time. I had the privilege of preaching there August 25th before heading for Houston. David and his son, Eugene, have also been preaching there for the past several weeks. 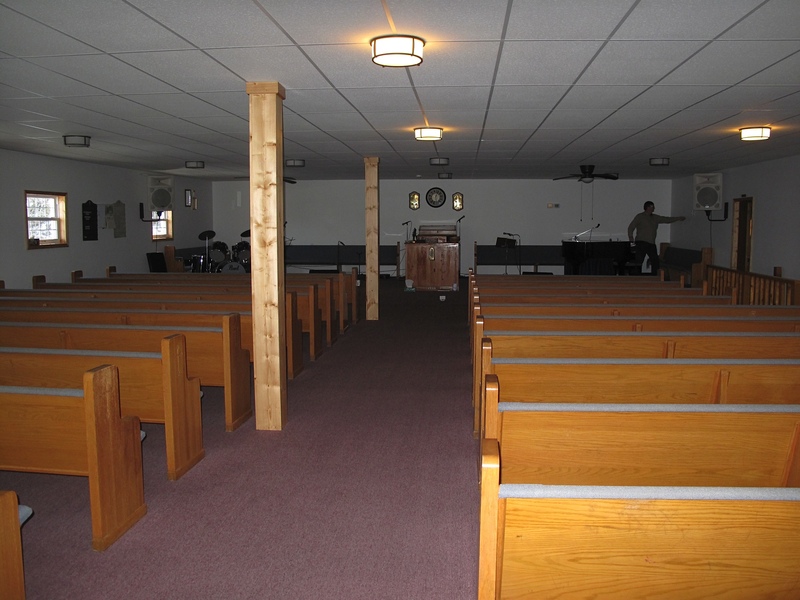 The second church to join us is the Malaga Community Church in Wolf County. David and I met with the deacons on Saturday, August 24. On Sunday the 25th, the congregation unanimously voted to join our ministry. They have been without a regular pastor for approximately two years. Please continue to be in prayer for the many ministries in which NHIM is involved in Eastern Kentucky. If you would like to be a part of this ministry, please consider starting or joining an Eastern Kentucky Prayer Band. We covet your prayers and invite you to join us in this important mission.